UAE football fans have expressed concern over missing out on the Fifa World Cup action as beIN Sports, which holds the exclusive rights to broadcast the Fifa World Cup in the Gulf and wider Middle East region, went off-air overnight on the UAE's du and etisalat platforms. With the world's biggest sporting event, Fifa World Cup Russia 2018, set to kick off in under two weeks, sports fans have been left frustrated after the channels disappeared without any explanation from the Qatar-based broadcaster. "We are temporarily unable to show beIN sports channels and packages due to a decision by the broadcaster beIN Sports," said du in a statement to its customers. 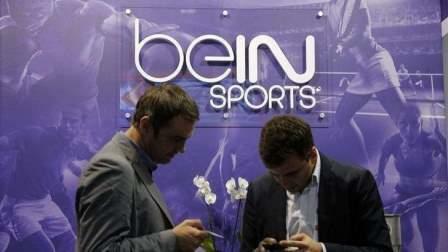 "We are working with our partner to restore broadcasting beIN Sports channels," the company added in a statement on its website. At the time of filing this report, the channel owned by beIN Media Group, a subsidiary of Al Jazeera Media Network, was still unavailable to du customers. Some Etisalat customers said the channel was restored at 1.20pm on Saturday. Jayesh Kilpady, a video editor, said he was left "high and dry" not knowing where he can watch the world cup. "I took the beIN package from Etisalat and it was a three-month package which included the Indian Premier League and the Fifa World Cup. "The world cup is a massive event that comes once every four years and it is not like we can miss it this time and catch up on it later ... My main worry is whether beIN will be back [in time] on so that I can watch the World Cup." He said Fifa should question beIN about this. "A lot of marketing and promotion goes along with an event as big as this and it all gets affected." Du has told its customers that they can watch beIN Sports channels online or subscribe to beIN CONNECT. The statement, however, carried a disclaimer which said: "Please note, we cannot comment on the quality and pricing of third-party products. The service is owned and managed by beIN. You may visit their website for further details." Shrinath Sharma, a community inspector with Dubai Sports City, and other football fans are worried if they would even be able to watch the matches. "It is frustrating. During the last world cup, I subscribed to the beIN Connect streaming service for the full year and the world cup came along with it. This time, even if you subscribe on the 'connect' service, to watch the world cup, you have to pay Dh550 just to access the four channels airing the world cup." du has assured its customers that they will not be charged for the period the channels are not available. A du spokesperson did not provide any further details, saying information about the sports package broadcasting the world cup will be revealed in the next few days. A spokesperson for Etisalat also said there was still no confirmation about which premium packages will offer the world cup, or how much they will cost. Anand Rajeev, a Dubai-based marketing employee, said: "How am I supposed to watch the matches? This is the biggest sporting event in the world, my friends and I plan months in advance. What if the whole world watches and we in the UAE don't have access?"